For landscapers, creating and maintaining a clean outdoor area is high priority. Paths, tiles, decks and even earthmoving equipment can be cleaned in various ways, but high-pressure washing is widely considered the most effective and efficient. It’s no secret that Kärcher prides itself on being the best in the pressure washer space. In fact, it has been supplying the market with Kärcher’s German-engineered technology for over 80 years, continuously improving their product along the way. Many know Kärcher for the yellow home and garden pressure washers that continue to be a crowd favourite, but it’s Kärcher’s professional range that has recently revolutionised the pressure washing space in the working environment of recent times. Kärcher recently conducted a study with two independent bodies – the Association for Electrical Engineering and the German Agricultural Society, into muscular and skeletal stress due to prolonged pressure washer use. They‘ve recognised that in industries such as construction, landscaping, mining, and agriculture, professional pressure washers are often used for extended periods of time. This prolonged use can lead to muscular and skeletal fatigue, opening the door for a potential workplace injury. Kärcher has addressed this issue by inventing its EASY! 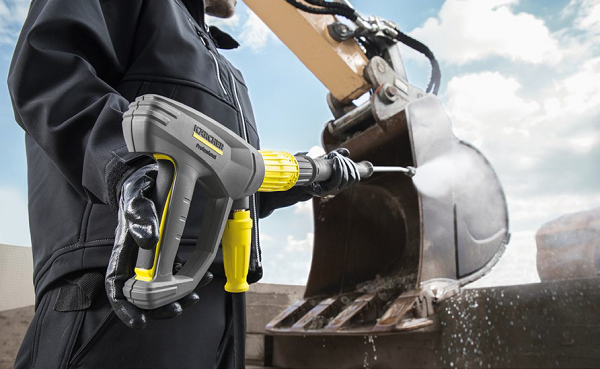 Force trigger gun, which allows pressure washing with zero force from the user. Unlike conventional pressure washer guns that are operated by pulling the trigger with the fingers, the EASY! Force gun works by first pressing a lock with the fingers, which is located where a trigger would normally be, and then pushing the trigger with the middle of the hand, which is located on the back of the handle. The ergonomic study found the new movement eliminated the force from the smaller muscle groups in the hands, fingers and forearm needed to operate the machine. Instead, the workload was transferred to larger muscle groups such as the upper arm and shoulder. This leads to a fatigue-free, long-lasting hold force power that is unrivaled in the professional pressure washing industry. 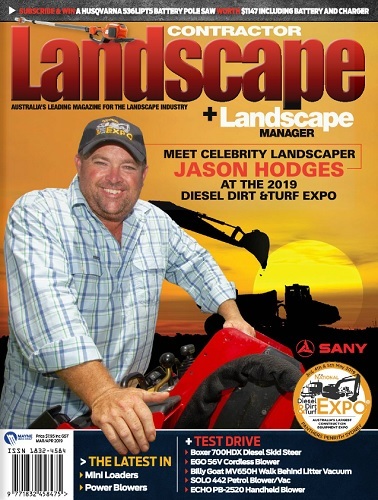 The findings present a breath of fresh air to those in the landscaping industry. A strain on workers performing repetitive tasks such as cleaning excavators, skid steers, surfaces, and tiles will effectively be alleviated as a result of EASY! Force technology. This is far more than just a luxury to have for workers. Drivers such as government regulation and pressures from trade unions mean employers are under stricter guidelines to ensure employee safety at work than ever before. Many employers still possess the perception that if they prevent workplace accidents like falls and crashes then their job is done. However, muscular-skeletal injury due to RSI-disease (repetitive strain injury) is one of the leaders in workplace injury claims. Employers often don’t take into account their liability of straining workplace practices leading to injury over a period of time. This is why the EASY! Force trigger gun is a game changer for those in the landscaping, construction, mining and agricultural industry. In these industries, outdoor surfaces along with large, expensive machinery are used and need to be cleaned and maintained quite regularly. Not only does the Kärcher EASY! 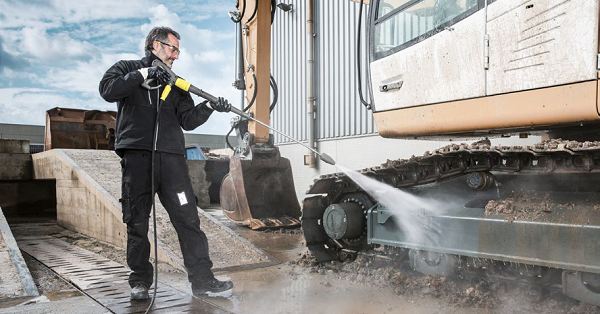 Force trigger gun allows for the job to be done with more comfort to the person using the pressure washer, it also eliminates the risk of workplace injury as a result of prolonged pressure washer use, which is paramount to employers running their business.